If there’s one thing that’ll test a pet owner’s patience quicker than anything else it is inappropriate urination in the home. With good reason, this drives many pet owners to the brink of insanity. This is often the #1 reason why people give up on their pets and either rehome them, surrender them to shelters or euthanize them. This is sad because urinary issues are often misunderstood. 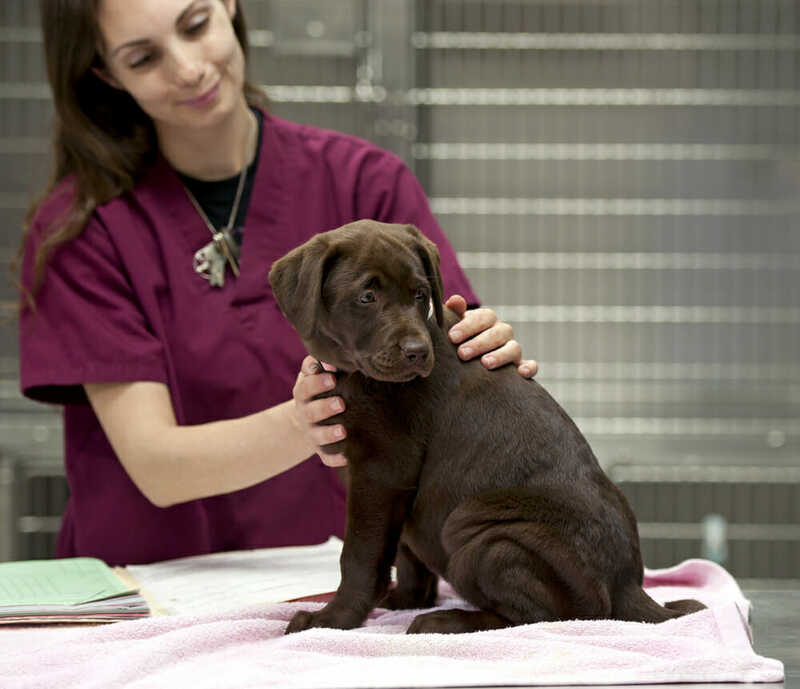 First and foremost, if/when your pet begins this habit, you need to rule out a medical issue (especially if it came on suddenly) It is essential that your pet is seen by the Vet for a physical exam. You will also be asked to bring with you a clean urine sample collected from your pet for analysis (this is much easier than it sounds!) The Technicians will run a urinalysis to determine if any infection or kidney compromise is evident. If an infection is present your pet will be prescribed antibiotics that should clear it up relatively easily. Behaviors CAN be changed – once you figure out what it is. For cats it could be something as simple as a new cat in the neighborhood who’s been hanging around your home, the addition of a new furry family member or even a new human in the home, change in food, a room that’s been redecorated or a chair that has been moved to another location, change in style of litter box, type of cat litter or box placement. Cats do NOT like change and will often protest it. It could be something as simple as the furnace had kicked in or a can of paint fell off a shelf nearby while your cat was doing his business in the box, and it startled him – he now associates that fearful moment with being in the litter box and will avoid it in the future. Cats are territorial animals, having to share their home/life with other pets (even littermates) is sometimes just not an option. We tend to see more behaviour issues in multi-pet homes than single pet homes. While your furry family members may look like they adore each other and are getting along well, sometimes it’s very deceiving and fluffy isn’t having as good a time as you may think. Some cats are meant to live as the ONLY pet in the home, and there’s nothing you can do to change that. Stressed cats (and dogs) are more likely to not urinate regularly – they tend to hold it in which increases the likelihood of infection. 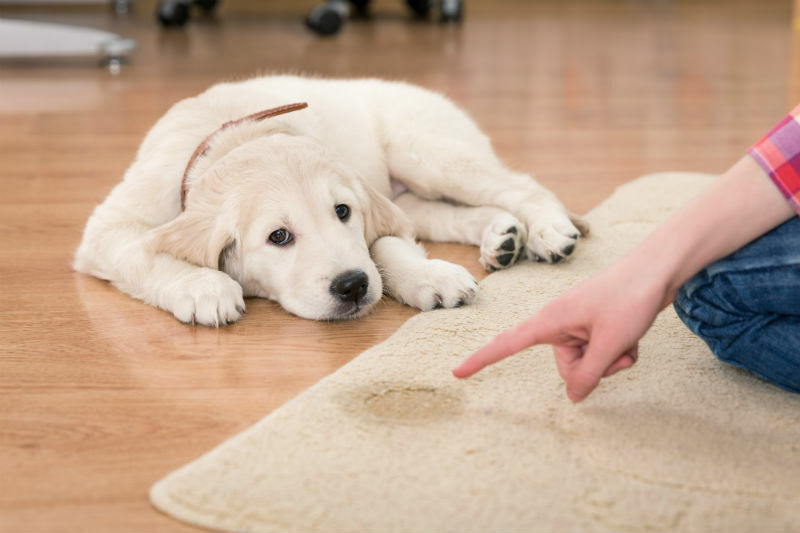 For dogs, the behaviour is often due to improper house-training. More clearly saying, the dog has never learned that it’s NOT ok to use the bathroom indoors. This CAN be easily corrected by re-training. The older the dog and the more extended amount of time that this behaviour has been going on, the longer it’ll take to fix it, however, with patience, persistence and consistency it CAN be corrected. Your vet and veterinary staff are a wealth of information – we’ve seen these issues time and time again, most often on a daily basis. Please do not give up on your pet that is eliminating inappropriately. Together we can help you figure out what the issue is and how to resolve it!